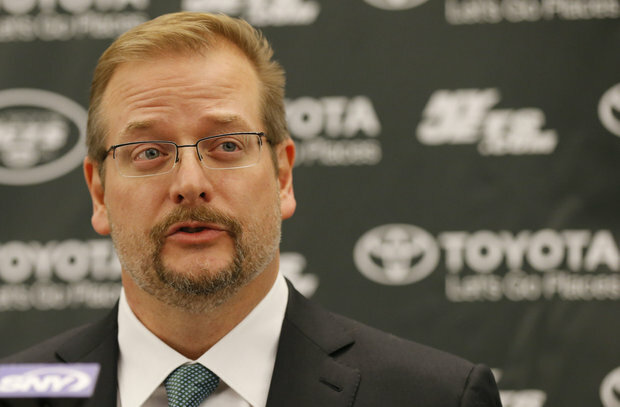 Home » Football » Jets are being SMART? In case you might have missed it, I went CRAZY on Tuesday thinking about what the Jets were doing, turns out the Jets were making a SMART move later in the week, that is why they were DUMB early in the week. At first I HATED this trade thinking that the Jets gave up TOO MUCH to move up three spots but letting it SIMMER for about a couple of hours, I am ALL-IN on this trade, I have already ordered my Baker Mayfield Jersey. It would be DUMB for the Jets to not draft a quarterback so the NEXT Jets franchise quarterback will be in Dallas for the draft next month. There are MANY possibilities for the Jets to draft a quarterback including Josh Allen, Josh Rosen, Sam Darnold, and Baker Mayfield. Assuming the WORST case scenario and the TWO teams AHEAD of them in the draft, the Cleveland Browns and the New York Giants, both draft a quarterback, the Jets will have a chance to draft from TWO of those guys. I do not really HATE any of these quarterbacks available for the Jets, but I would LOVE for the Jets to take a risk and draft Baker Mayfield but I do NOT think that is going to be the case. The Jets management has been HIGH on Josh Allen all off season, so I think that is the SAFEST bet for the Jets, and I HATE it. Josh Allen is a GOOD quarterback but he does not many skill sets other than being really TALL. He played at Wyoming in college which is NOT exactly the same as the New York media market, so it would be interesting to see how he reacts to the media being around him 24/7. I do not really have opinions on the other TWO quarterbacks, so the Jets are DEFINITELY are going to draft one of those guys and leave me in a pretzel. There is only ONE thing I know for SURE, whoever the Jets draft will be a BUST, and whoever they do not draft will be a FIRST ballot Hall of Famer. Even though the Jets are making some SMART moves, I still think they are DEAD and will not think they are ALIVE until they hand in their draft card with Baker Mayfield’s name on it.